Some of the best advice we’ve heard is; get a dash cam. They are more and more affordable by the day and video evidence will help in almost all wreck situations. Legitimate accidents are bad enough and the camera can be your best witness. The staged car accident scam is growing as perpetrators are getting craftier about entrapping unsuspecting motorists. Scammers usually meticulously plan their staged car accidents, leaving nothing to chance. They practice until they get it right and even if you can see the accident was staged, onlookers or witnesses may only catch a glimpse and think they see something they didn’t. Here are some of the most common staged accidents. In this staged accident, the scammer will wait for your car to proceed through an intersection and then floor it and T-bone your vehicle. When police arrive, the scammer’s helpers will claim you ran a red light or ran the stop sign. In this scenario, the scammer will see you are trying to switch lanes and they wave you ahead. But when you do switch lanes, they will accelerate and hit your car. Once police arrive to take the accident report, they’ll lie and say you switched lanes when it was not safe to do so and they didn’t have time to brake. In this set-up, you have to be in a dual left-turn lane on the inside and if you are close to the lane marker, the other driver will veer into you and claim you came out of your lane and hit them. They may also have “witnesses” stationed at the intersection to back up their yarn. The scammer will slam on their brakes when your car is close behind so that you will crash into the rear of the vehicle. These scammers and their “passengers” will often also claim injuries they didn’t incur. They may also be in cahoots with shady doctors and chiropractors, who will inflate their billings and order all types of medical services to that end. Others may go to legitimate doctors and claim back injuries, which are difficult to prove. They may also sue for damages. These car crash scams can leave you paying for damages you didn’t cause. They also take time. 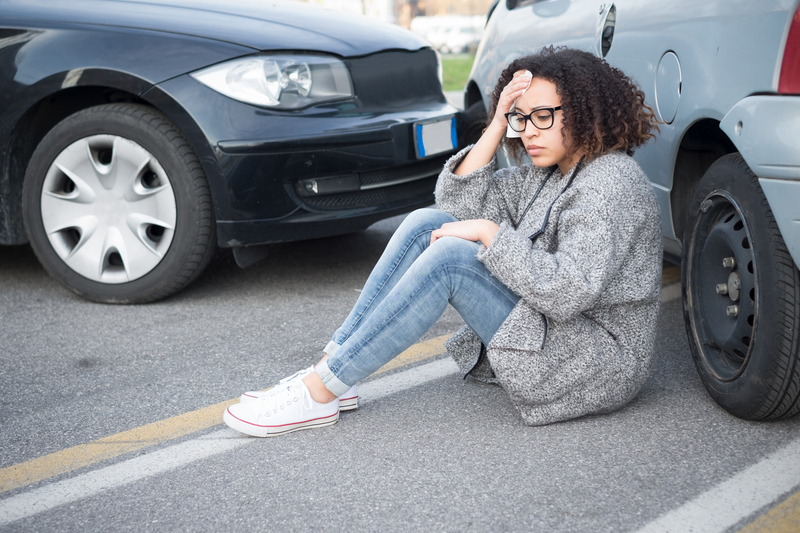 Even if your insurer covers the crash and the damage to your car, you will still be without your car for a time and dealing with insurance paperwork and the repair shop. And the “accident” can lead to higher insurance premiums for you later. One of the best ways to avoid being the victim of a fake accident claim is by exercising caution while driving. Tailgating or failing to leave enough space between your vehicle and a vehicle ahead of you leaves you vulnerable to becoming the victim of a staged accident. All the driver ahead of you has to do is abruptly stop to cause you to crash into the rear of their vehicle. If you believe you are being targeted by someone staging an accident, do not leave the scene. Call the police and let the officers who respond handle taking a report of the accident. Keep a camera (if you don’t have a smartphone), pen and paper in the car so that you can take photos and notes at the scene. More motorists are also installing dash cams that turn on when the car starts and are constantly recording. These can be all the proof you need to refute the scammer’s side of the story. Take pics from every angle of the involved vehicles, with special focus on the damage. Also, capture on camera the license plate, as well as photos of the driver and all the passengers in the other vehicle. The general height and weight (as well as the ethnicity) of the other car’s driver and passengers. Also, be sure to call the police if you suspect that you were in a staged accident. Whatever you do, don’t offer cash to the other driver to settle the damage. When you report the accident to your car insurance company, you should tell them if you suspect a scam. And remember the dash cam; some money now could save you thousands and keep the facts straight in your defense.